Following the successful project to build and launch a site for Jones Interiors, BSA were asked to create a new site for the Jones’ Buttons division. With thousands of individual products, the search functionality in this site was a critical element. Another example of just what can be achieved using the WordPress platform. 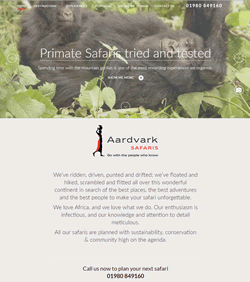 Bespoke safari company Aardvark Safaris, wanted a website that inspired people to explore Africa. We teamed up with photographer/designer who was a specialist in African Travel to deliver their new website. Made special by the stunning photography. Built in WordPress & fully responsive, I think this shows just what can be done with this flexible platform. 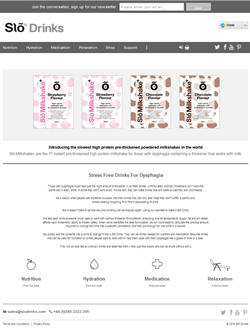 Slõ Drinks offer a range of specialist products to assist people with dysphagia (difficulty in swallowing). BSA developed the company website (in WordPress) and then, about a year later, the company decided to move into online sales. As the site was built in WordPress, we were able to seamlessly and cost-effectively integrate comprehensive e-commerce functionality into the existing site using WooCommerce, without the cost of a major redesign of the site. 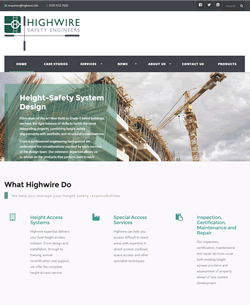 Highwire height safety specialists had a website that was nearly 10 years old and no longer gave the best impression of the business. BSA were approached to completely redevelop the site using a smart, modern design. Aware of the need for easy maintenance and development going forward, WordPress yet again proved an ideal platform for the site which is now fully integrated with and active programme of marketing communication. 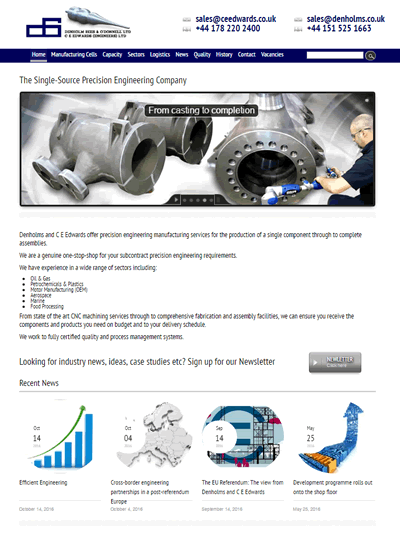 Precision engineers Denholm Rees & O’Donnell and C E Edwards were looking to combine the web presence of the two companies within their organisation. BSA were asked to create a new site combining the brands. Fully responsive, and built on the WordPress framework, the new site is now a central platform for wider marketing activities. 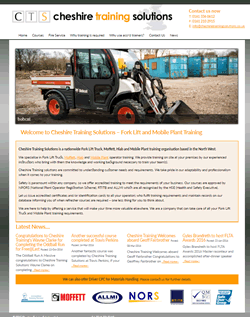 Although happy with the look, Cheshire Training were unhappy with the lack of flexibility and control provided by their current website. As a solution, BSA were able to convert their existing site into the WordPress framework in order to deliver the same design but with enhanced flexibility and improved content management system. By re using the existing design we were able to minimise both cost and development time, without compromising on results. Having Manufactured children’s shoes since 1952, Michael Bolton & Sons took a decision to shift focus for their main brand (Early Days) from direct online retail to channel distribution through wholesalers and retail. Working with our design partners, BSA Marketing re developed the earlydays.ltd.uk website to create a platform that could be used to develop their brand, and to support their distribution partners. 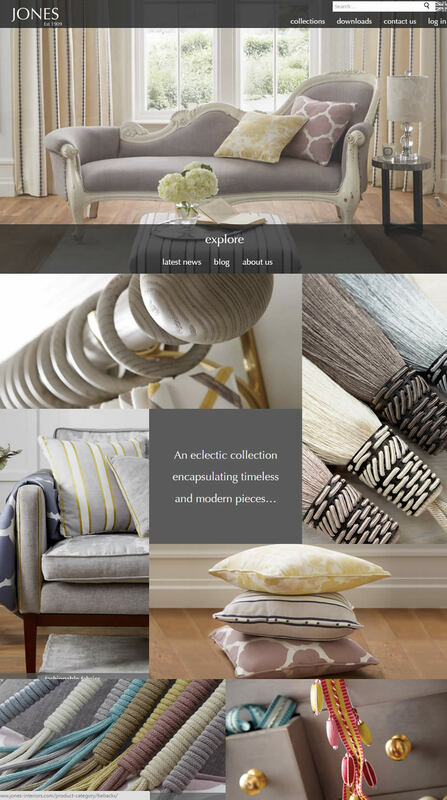 BSA were asked to create a new web presence for interior design company Jones Interiors. Working with the clients in-house design department, BSA created a launched a modern, responsive website, that will become the central resource in an ongoing web, email and social media marketing programme.